This is a hill located in Mt. Popa. 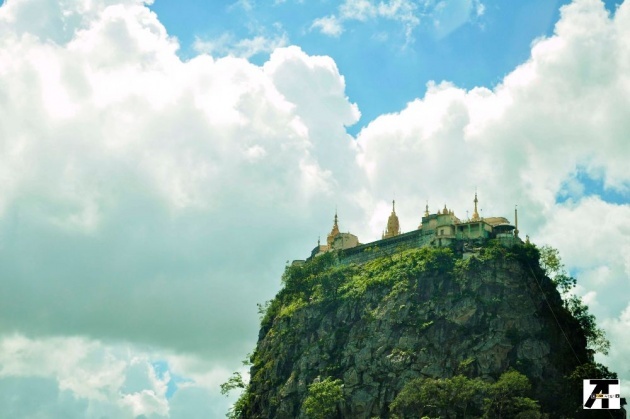 It rises 737 meters above sea level. 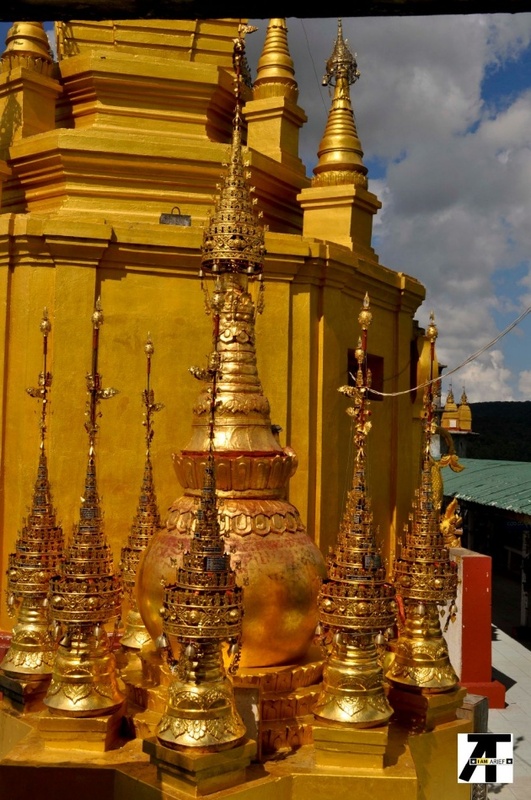 This is another place of interest or tourist destination to go to if you want to view the lush and verdant forests of Burma (Myanmar). 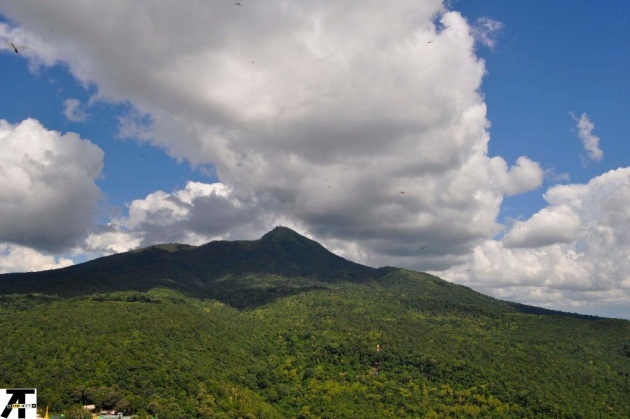 This hill is actually called Taung Kalat but it is referred to as Mt. Popa even though Mt. Popa is the actual volcano near this hill. The mountain on the right is the actual Mt. Popa as viewed from Taung Kalat. Taung Kalat or pedestal hill is located southwest of Mt. Popa. I have never seen as vast as these of trees and greens. A Buddhist temple is built on top of this hill. We forgot to ask the reason why they built a temple there. 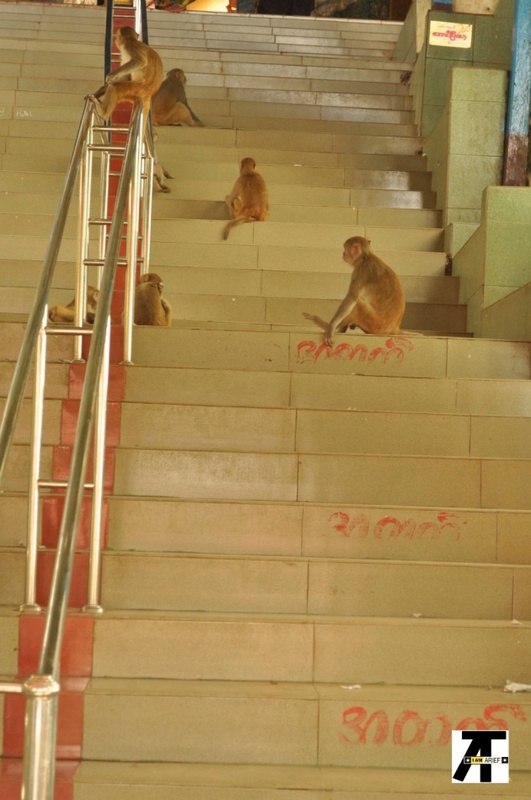 There are 777 steps going up the temple and those steps are scattered with macaque monkeys. A note of warning. 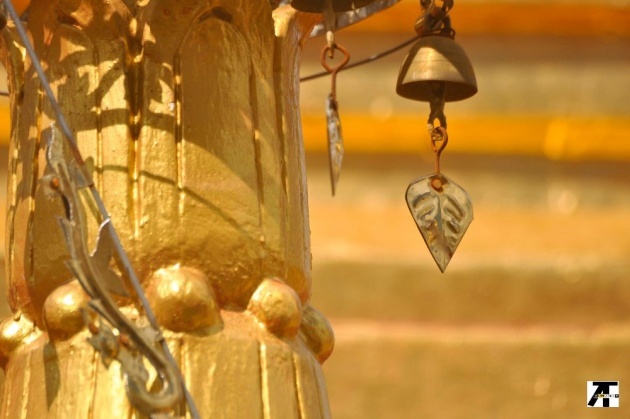 Before climbing up the temple, you are required to leave your shoes in lockers provided for that. The monkeys are free to roam around and people get to feed them. However, they can get aggressive so it's better to be cautious with them or avoid them. 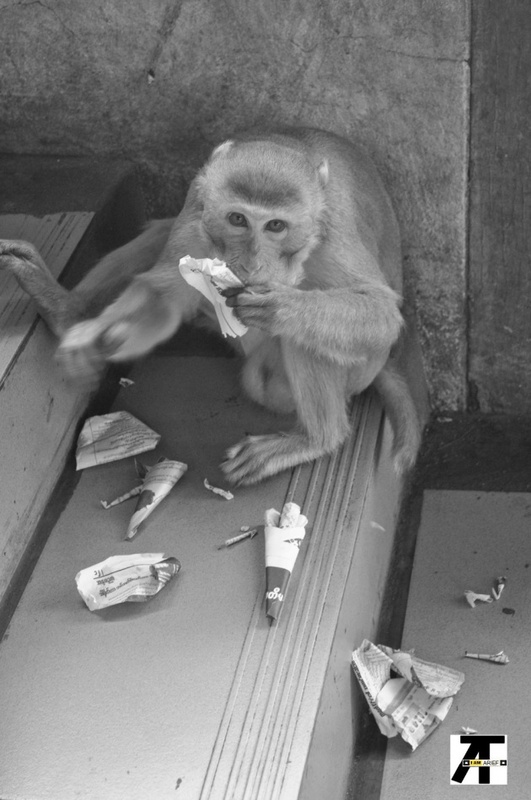 You can feed these monkeys with seeds placed in papers just as what the monkey above is doing. I did not notice where people got the seeds they feed these monkeys. 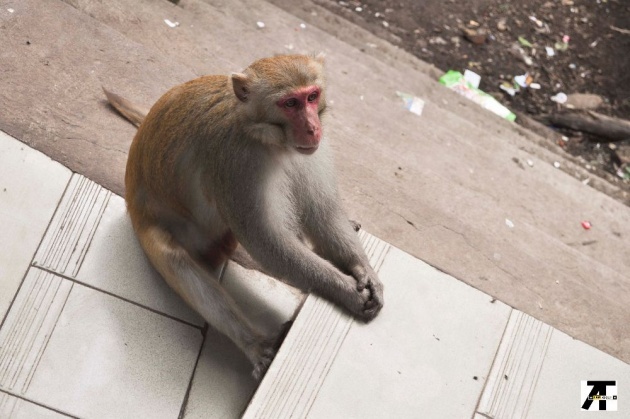 With those monkeys free to do whatever they want, the steps are littered with what have-yous from those monkeys so it's advisable to bring something to wipe your feet with. There is a wash area too near the lockers where the footwear are stored. Along the way up, there are those who wipe and clean the stairs and all they get paid for are donations they ask from tourists or visitors. 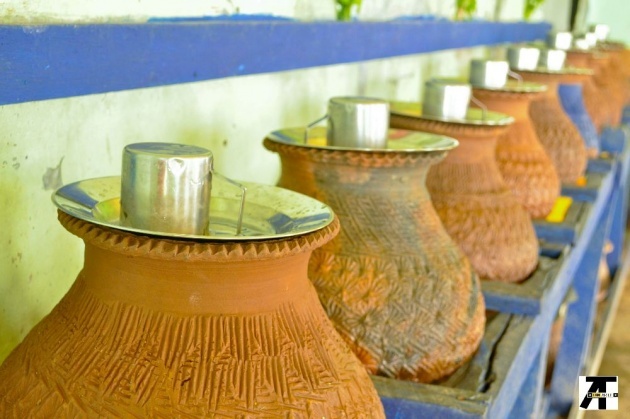 Along the way up, there are jars of water for drinking, like those on the picture above. They are placed in certain areas as you go up the top for people to quench their thirst. There are more jars of drinking water at the top. However, a note of warning again: This is not for sanitary-conscious people. 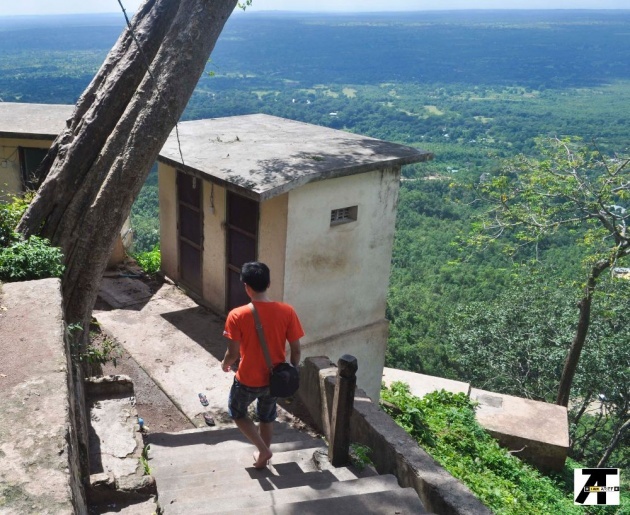 Halfway to the temple, there is an outhouse or toilet provided for visitors and tourists to relieve themselves. This is an outhouse with a view. There is also a pair of slippers provided for use so you will not get your feet wet. This is when tissue or paper towels come in handy for you to have something to wipe your feet with. 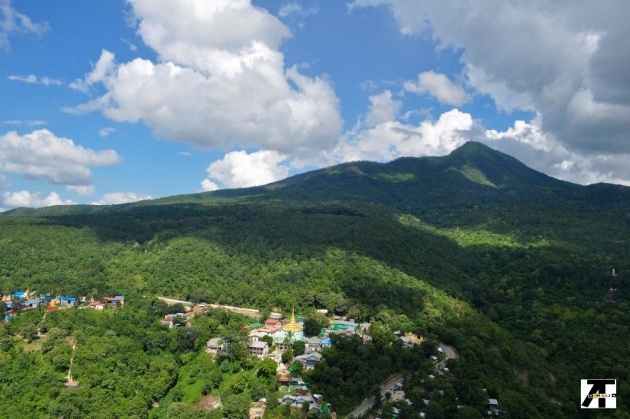 Braving the troop of macaque monkeys and climbing up those 777 stinky stairs, the view on top is invigorating and amazing. I have never seen such greens of different hues in my life. You can feast your eyes with wonderful creations of God. It's really worth it to climb Taung Kalat. 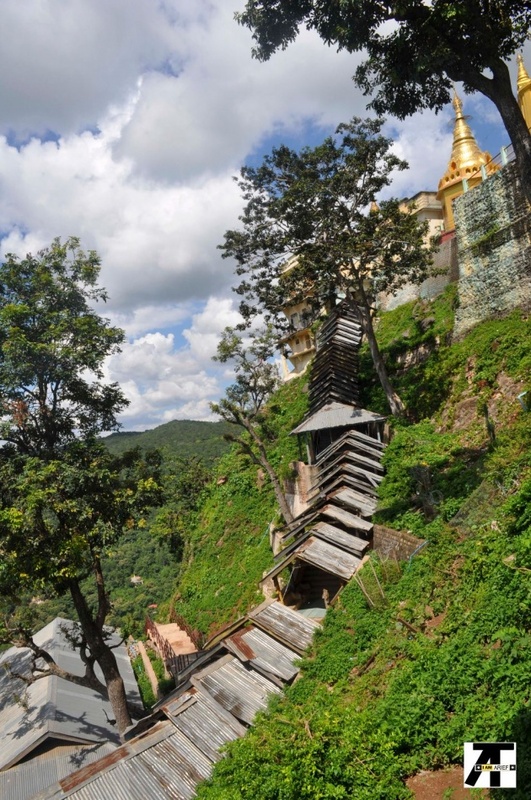 The steps going up the hill have roofs so it is shaded and the fresh air wafting around you as you go up the steps make the climb more bearable and easier. The roofs even create an aesthetic pleasant to the eyes. If you notice in the picture of Mt. Popa above, there are swarm of dragonflies flying about. That is how clean and fresh the air is that you get to breathe there, free from any pollution that we get in abundance in urban places. You can see a vast vegetation as far as the eye can see. It is a pleasant environment and makes you appreciate the environment and nature more. 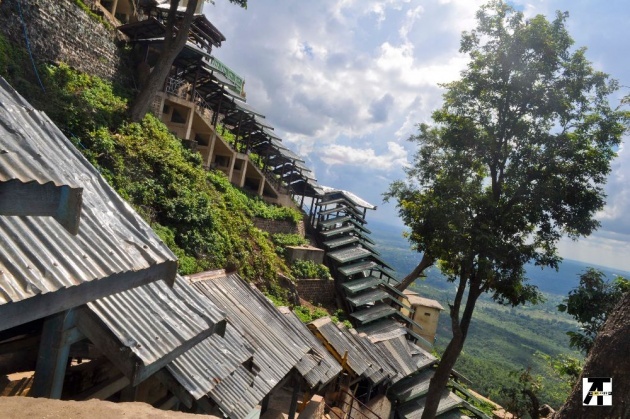 Before climbing the steps, there are different shrines of different gods that visitors can pay their respects and offer prayers and sacrifices. 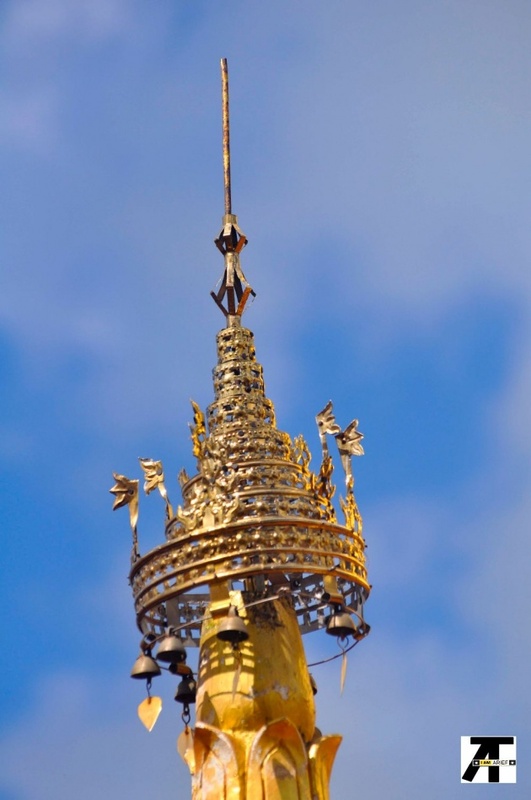 At the top, more shrines are placed. Incense and flowers filled these shrines. 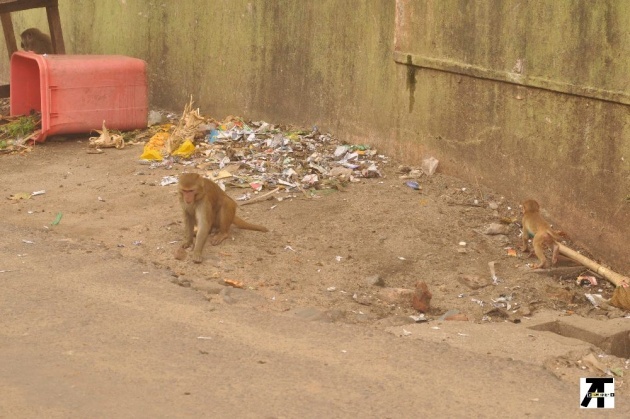 Because the monkeys are given free reign and because they are used to the presence of humans, they scavenge for food and thus going through the garbage in search for something to eat. parang napanood ko to somewhere na may mga unggoy talaga na hinahayaan lang maglakad at makisalamuha sa tao.